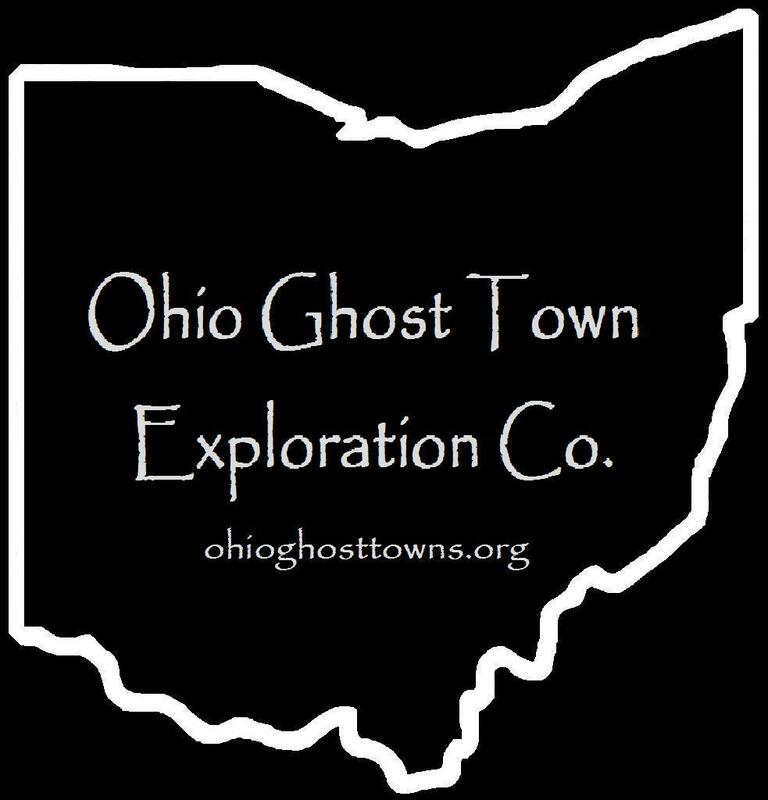 Lorain County – Ohio Ghost Town Exploration Co. Description: It was founded by a branch of the Baird family in the county. Description: There wasn’t anything particularly wrong with the location but it couldn’t compete with previously settled towns which were already growing at good rates. Prior to the post office being established, Revolutionary War veteran & Boston Tea Party member George Bacon (1757 – 1834) & Hepzibah (Crease) Bacon (1762 – 1829) owned most of the land in the area. They were buried with many relatives & township pioneers in Brownhelm Cemetery. Description: It was called Murraysville prior to 1847 & was founded by Philo Murray (1789 – 1854) & Harriet (Minot) Murray (1797 – 1862) who moved to Ohio from Connecticut in the early 1820s & had 7 children. In the mid 1800s it had a saw mill, grist mill, general store, school, & about 25 houses. The town kept growing well on its own & was never abandoned but eventually was overtaken by & annexed into the City of Elyria. Philo & Harriet were buried with relatives & other township pioneers in South Murray Ridge Cemetery. Description: It was founded by a branch of the Ferguson family in the county. Description: Named after the Folger family in the township, it was on the New York, Chicago, & St. Louis Railroad . The town had a train station & a fruit office which was mainly used for housing grapes that were ready for shipment. The store & post office was in the southwest corner of the intersection. Description: The town was founded by John Hart (1830 – 1896) & Caroline Hart (1838 – 1908) who had a few children, nice farm, & donated land for a train station on the Cleveland, Tuscarawas Valley, & Wheeling Railroad. John built a water powered saw mill along the Black River that was later converted to steam. Farming & rock quarries were the main industries & the Grafton – Brunswick Railroad, built by the quarry company, was used to ship stones. There was also a school, blacksmith shop, general store, & creamery in the mid to late 1800s. John & Caroline were buried with relatives in Butternut Ridge Cemetery on Butternut Ridge Rd in Elyria. Description: Hulberts Corners was the former town at the location Amherst was built on. The Hulbert family was long gone by the time Amherst was founded. Description: The proprietors were Albert Kishman (1868 – 1951) & Harriet (Henkes) Kishman (1969 – 1910). Albert was a farmer & fisherman who was born into a large & well known fishing family of German descent. The town was on the New York, Chicago, & St. Louis Railroad from the late 1890s to early 1920s. Albert & Harriet were buried with relatives in Brownhelm (North Ridge) Cemetery on N Ridge Rd. Description: The town was founded by Philo Murray (1789 – 1854) & Harriet (Minot) Murray (1797 – 1862) who moved to Ohio from Connecticut in the early 1820s & had 7 children. In the mid 1800s it had a saw mill, grist mill, general store, school, & about 25 houses. The town kept growing well on it’s own & was never abandoned but eventually was overtaken by & annexed into the City of Elyria. Philo & Harriet were buried with relatives & other township pioneers in South Murray Ridge Cemetery. Description: It had a cheese factory, general store, school, & a rock quarry operated by the Cleveland Stone Company in the late 1800s to early 1900s. There was a spur of the Lake Shore & Michigan Southern Railway on the east side of Diagonal Rd which was used to transport stone. Residents were buried in Rockwood Cemetery. Description: Oak Point was a shipping port for the Clough Stone Company which had a narrow gauge railroad running from the quarries to the New York, Chicago, & St. Louis Railroad & the quarry wharf on Lake Erie. The town also had a hotel, bath house, & a community hall near the wharf. Description: The town was on the Cleveland, Lorain, & Wheeling Railroad. Its proprietor William Patterson (1811 – 1901) held the offices of county sheriff & commissioner as well as every office in the township at one time or another. He had 3 children with his first wife Phoebe (Vincent) Patterson (1813 – 1856). They were born & married in Massachusetts in 1833 & moved to Ohio in 1837. William remarried after Phoebe passed away. Description: The town was the location of Brownhelm Mills, currently in the Vermilion River Reservation, which had a saw mill & grist mill. The Mill Hollow House was built for Benjamin Bacon (1789 – 1868) & is on the National Register Of Historic Places. Residents were buried in Rugby Cemetery & Brownhelm (North Ridge) Cemetery on N Ridge Rd. Description: Shawville was founded by Samuel Shaw (1829 – 1918) from New York & Juliaett (Wiley) Shaw 1830 – 1923) from Pennsylvania. It had a train station on the Lake Shore & Michigan Southern Railway. Samuel & Juliaett were buried with relatives in Ridgeville (North Ridgeville Center) Cemetery on Stoney Ridge Rd. Description: The town was founded by Calvin Spencer (1778 – 1857) & Mary (Hawley) Spencer (1786 – 1846) who moved to Ohio from New York in 1824 & had 6 children. Calvin built a saw mill & the town also had a school. They were buried in Penfield Cemetery on Medina – Norwalk Rd. Description: Trinity was settled by Catholic German immigrants. It had a school, shoe shop, a frame church built in 1843, & the cemetery was established in 1833. The congregation’s current church is over 100 years old & stands at the intersection of Detroit Ave (SR 254) & Nagel Rd. Description: It was founded by a branch of the Troxel family in the county. Description: Webbs Corners was the original name of South Amherst. It was founded in 1816 by Reuben Webb (1770 – 1838) & Mary Webb. They had a a few children & built a tavern near Beaver Creek. They were buried with relatives in Evergreen Cemetery.